Not able to open our designs? 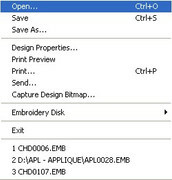 Your embroidery software does not support EMB format? If you are not able to open our design or the converted design got corrupted then don't worry. We digitize our designs in native EMB formats that can be easily re size and converted in to another formats using True sizer embroidery software. 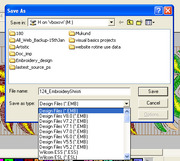 Yes, you can modified and convert our designs easily using wilcom true sizer. To know how to convert the designs in to other well knows formats read the below post. Further, please find the below video tutorial for the same. 2) Now double-click on the file you wish to open. 3) Click save to convert the designs.